CW’s own Juli Roll, as San Francisco champion of the annual Poetry Out Loud competition, is appearing onstage tonight at the Mechanic’s Library with California’s Poet Laureate, Dana Gioia, at an event celebrating National Poetry Month. Mechanics’ Institute is honored to welcome consummate poet and arts advocate Dana Gioia as guest of honor to celebrate National Poetry Month. He will read and talk about his latest collection, 99 Poems: New and Selected. He will share his experiences traveling to communities and schools throughout California’s 58 counties to engage people of all ages in the pleasures and inspiration of poetry. Book sale and signing will follow the program. Dana Gioia will be joined by Julieta Fuentes Roll, Poetry Out Loud Champion for San Francisco County and a student at the Ruth Asawa San Francisco School of the Arts; and Margo Perin, San Francisco County Poetry Out Loud Coordinator. Abigail does however, have more than a clue about her obvious calling. She is spending her summer surrounded by people who believe in the power of poetry, working as an intern at California Poets in the Schools, one of the largest writers-in-the-schools programs in the nation. California Poets in the Schools has cultivated children’s creativity through poetry for almost 50 years, serving 25,000 students in hundreds of public and private schools, juvenile halls, after-school programs, hospitals, and other community settings. CPITS also partners with the California Arts Council to broadcast the Poetry Out Loud recitation program, an annual national recitation contest, in which Abigail has competed and placed. All of which should find Abigail in fine form come August, when she steps deftly into her role as editor-in-chief of ümlaut, the literary journal edited entirely by Creative Writing students, which features student art and writing from across all of the different arts disciplines at SOTA. Poetry Out Loud is a national contest created so high school students have a chance to get to know the art of poetry better, recitation-style. Along with several other CWs, I’ve been doing it for two years, and I recommend it to all of you–especially to all those freshpeople who haven’t tried it before. Here’s how it works: You memorize two poems (from well-known authors, not ones you’ve written) over the course of perhaps six weeks, and you learn to recite them creatively. Body movement is not involved in these recitations, and they are not slam poetry, but they are completely different from what we do when we CWs read our own work. Local poet Joan Gelfand helps you and your fellow SOTA competitors to prepare, which you do during school hours. Sometime in February, the San Francisco competition is held. You recite your poems in front of a panel of judges. If you win, you go on to the statewide competition in Sacramento. If you win there, you compete nationally. In my experience, people don’t do POL to win–they do it because memorizing and reciting poetry transforms it. The poems become yours, because you have learned them and built upon them. Who could say no to having a hand in the way the world thinks about Sylvia Plath or Robert Frost? Poetry becomes a familiar, yet completely unique art form. You’ll keep the poems you’ve learned by heart with you forever. POL has addicted me to the practice of memorizing poems; so far, my total score of poems committed to memory is 12 (and counting). Plus, you get the opportunity to meet important figures in the modern poetry world. Last year when I made it to Sacramento, I met Dana Gioia and Juan Felipe Hererra, the former of whom invited me to recite one of my POL poems at his San Francisco reading, the latter of whom agreed to visit our class this year. Just talking to them gave me a much better picture of where US (or at least California) poetry is today. 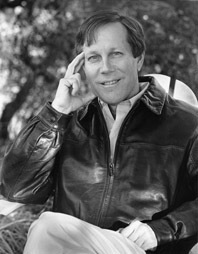 Creative Writers, don’t forget that we’re attending the Dana Gioia reading at Booksmith tomorrow evening, 7:30. This will count as reading credit, so just remember to do your submissions and bring them in for Heather. 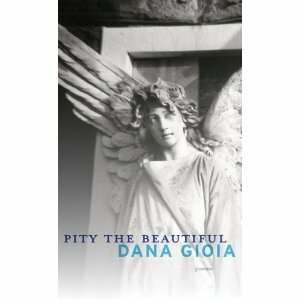 PITY THE BEAUTIFUL is Dana Gioia’s first new poetry book in over a decade. Its emotional revelations and careful construction are hard won, inventive, and resilient. These new poems show Gioia’s craftsmanship at its finest, its most mature, as they make music, crack wise, remember the dead, and in a long, central poem even tell ghost stories. Dana Gioia is the former chairman of the National Endowment for the Arts. Now back in Calfornia, he lives in Sonoma Country and currently serves as the Judge Widney Professor of Poetry and Public Culture at the University of Southern California. Gioia has published four full-length collections of poetry, as well as eight chapbooks. His poetry collection, Interrogations at Noon, won the 2002 American Book Award. An influential critic as well, Gioia’s 1991 volume Can Poetry Matter?, which was a finalist for the National Book Critics Circle award, is credited with helping to revive the role of poetry in American public culture. Poetry Out Loud: National Recitation Contest now involves nearly half a million high school students across the country in a national poetry recitation contest that awards $50,000 in scholarships. Welcome back to school, where a new year and fresh semester awaits! Kicking off our Creative Writing poetry unit is the annual Poetry Out Loud— a poetry recitation contest that will take a district-wide winner to compete state-wide, then to Washington DC for a chance to win a hefty scholarship. Creative Writers are offered a chance to participate by picking two poems listed on the Poetry Out Loud website and practicing for four to six weeks with coach Joan Gelfand. Last year’s winner was our very own Abigail Schott-Rosenfield (class of 2014), who got to go to Sacramento for the state-wide competition. Please check out the website and see if you’re interested in participating!